an action timetable for the next two years. Expanded reports on the work of the various sub-groups are in the minutes of the SSG/PS meeting held in Bremen, available from the SSG/PS web site. 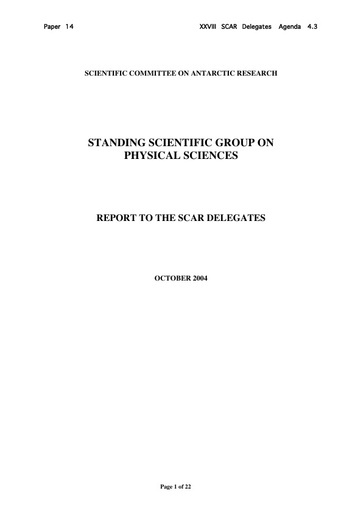 The web site also contains national and other reports on science that comes under SSG/PS.